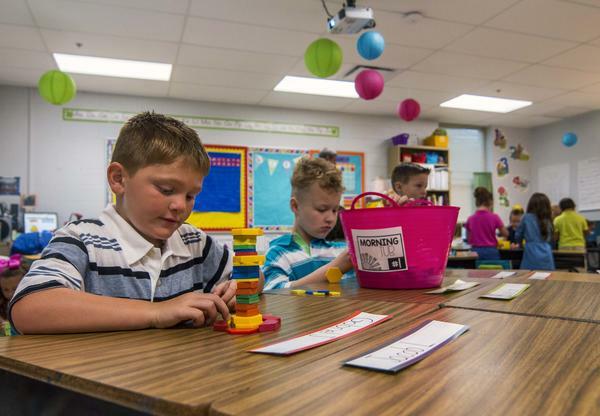 Nelson County Schools kicked off the 2018-2019 school year Wednesday morning. Cassie and Conner Wilkerson settle in to their new classroom Wednesday during Foster Heights' first day back from summer break. Gabe Janes constructs a tower out of blocks while working with one of the "morning tub"activities in Mr. W';s class Wednesday morning at Foster Heights. Nelson County Schools started back this week. 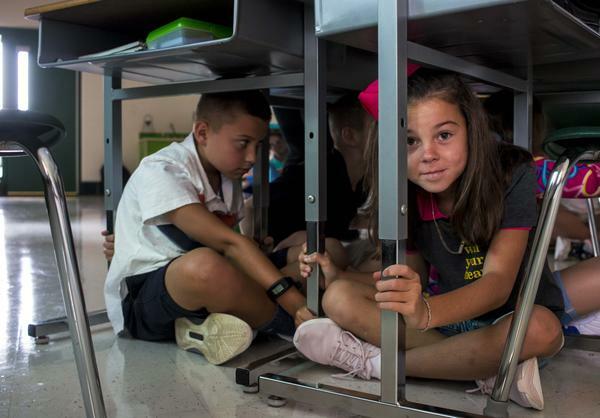 Madison York practices an earthquake drill with classmates as Boston fourth- and fifth-graders go over emergency procedures on the first day of school for Nelson County. 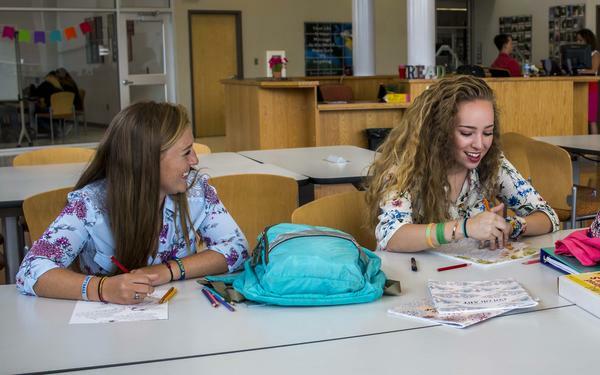 Teens hang out in the media center of Thomas Nelson High School on Nelson County's first day back from summer break. 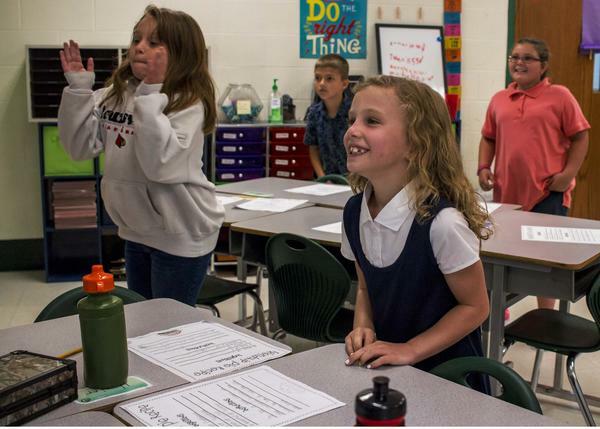 Makenzie Childress enjoys a song and dance break at Boston School Wednesday on the first day of classes for the 2018-19 school year.